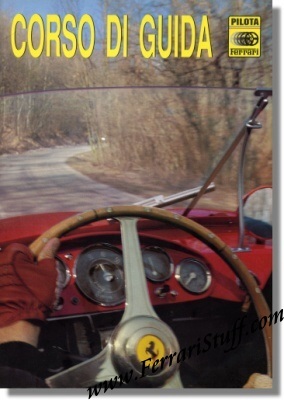 Ferrari factory original 1993 Ferrari Corso di Guida / Driving Courses Brochure. This Ferrari brochure elaborates on the Ferrari driving courses organized at Mugello race track and headed by Andrea de Adamich. Ferrari Print Number 786/93 10M/5/93, issued in 1993, printed in May 1993 by Puntografico, Italy.